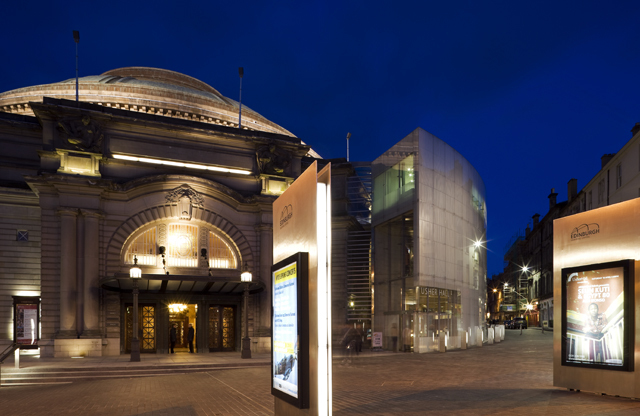 The Usher Hall is a significant Grade A listed concert hall in Edinburgh. Will Rudd Davidson were commissioned to work with LDN Architects to prepare proposals for a new extension which would resolve the many practical shortcomings of the building. 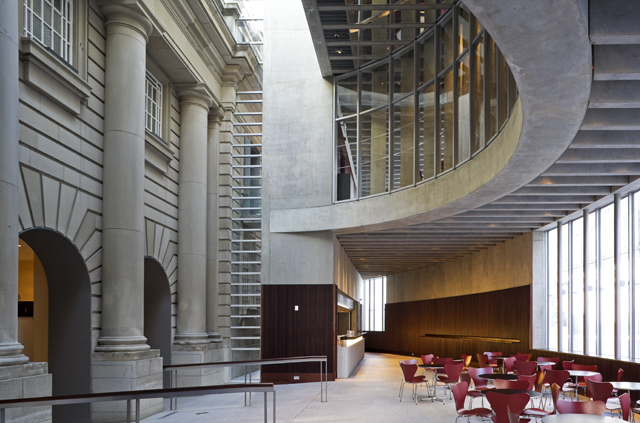 The new extension provides level access to all entrances of the existing building as well as accommodating additional office spaces and public event spaces. 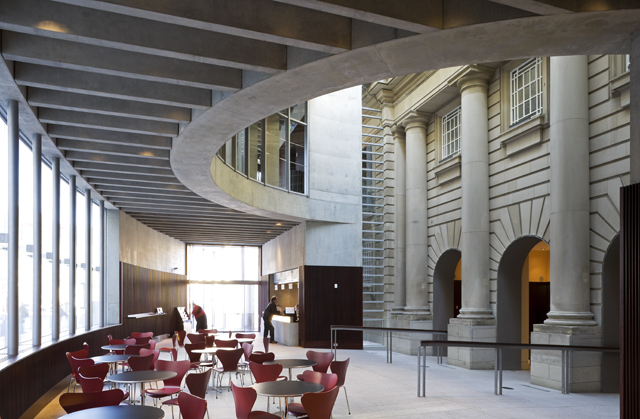 This area is light and airy and allows for views of the existing building’s façade through inventive structural solutions to minimise columns. 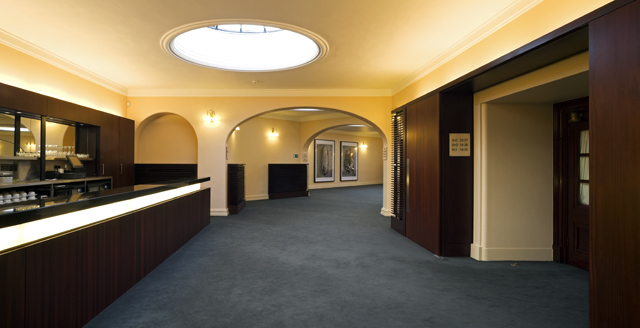 The basement of the extension, under the podium of the existing structure, provides the new toilet facilities for the building. 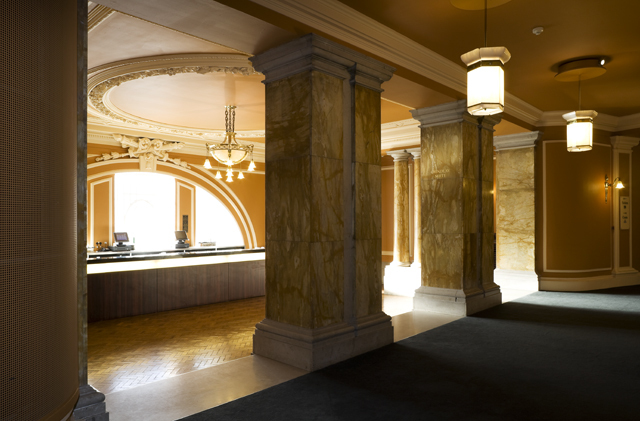 Within the existing beaux arts building extensive remodelling was carried out to the back of house areas to enhance the performer’s facilities to ensure the Usher Hall maintained its ability to draw internationally acclaimed performers. 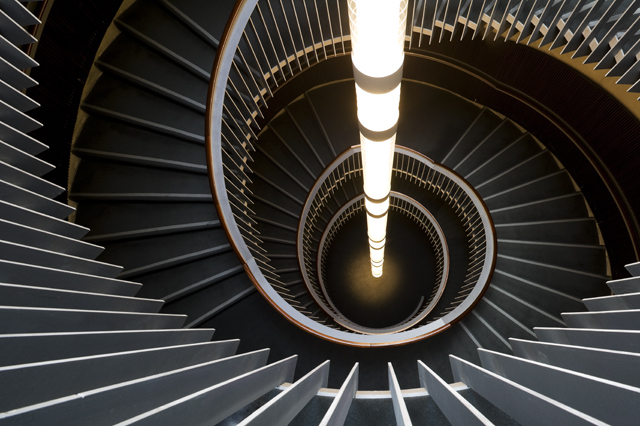 In addition, in the front of house area a new circular stair was created within the footprint of an existing stair to provide access to all levels of the building, thus encouraging flow between floors which was traditionally restricted by social class. Will Rudd Davidson’s work on this complex project was recognised in an article in the American Society of Civil Engineers magazine “Civil Engineering”.